After a Chuck Berry concert, two stories invariably circulated from people involved in the show. The promoter always told about Berry’s M.O. Even though he was a revered rock ‘n’ roll pioneer, Berry was often burned in the early days by promoters who didn’t pay him in full. So Berry devised a special way of operating. When it was show time, he’d refuse to go onstage unless the promoter paid him an extra $1,000 in cash at the side of the stage. For several years, this bit caught promoters by surprise. But later, Berry’s own agent would warn the promoters that that’s how the payments would work. Anyone who performed with Berry, who died Saturday at age 90, had a story to tell about what it’s like to work with a strong-willed legend. Always conscious about saving money, Berry didn’t travel with a band; instead, he’d ask the promoters to hire local musicians to accompany him. Berry became legendary for trying to mess with his sidemen instead of trying to entertain the audience. He’d switch keys and tempos without warning to see if the musicians could hang with him. It happened to members of Lamont Cranston, who accompanied Berry in the Twin Cities and passed the test.. 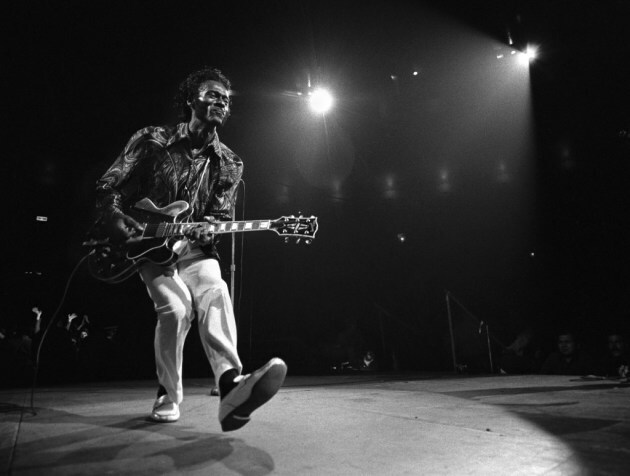 It happened to Keith Richards and an all-star group including organist Chuck Leavell, drummer Steve Jordan and bassist Joey Spampinato who played behind Berry in a 1987 tribute documentary “Chuck Berry Hail! Hail! Rock ‘n’ Roll,” directed by Taylor Hackford. A gifted songwriter and talented guitarist in a variety of styles, Berry kind of winged it in concert himself. I remember seeing him at the old St. Paul Civic Center Theatre back in the ‘70s. He was playing one song, took a long guitar solo, couldn’t remember what song he was playing (a lot of them do sound similar, don't they?) and then started singing the third verse of a different song without missing a beat.